Our helpful, knowledgeable instructors are trained to guide you through the course and to make your time in class informative and entertaining. 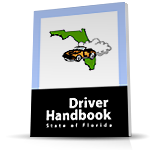 Interesting videos, colorful charts and illustrations, and classroom discussions will all help you to understand the material being presented so you'll be safer on the road. The cost of the course is just $75.00, and includes the workbook that is yours to keep at the end of the course. To register, simply call the toll-free telephone number below to register online. Nothing could be easier!